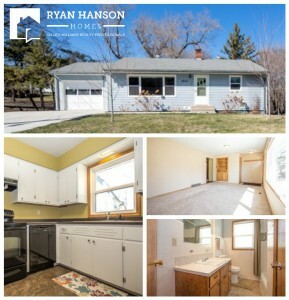 FIRST LOOK at 3 bedroom, 2 bath blank canvas on oversized lot in Fergus Falls! Fill this 3 bedroom, 2 bath blank canvas with your style and personality. This move-in ready walk-out on an oversized lot in Fergus Falls features new windows, kitchen pantry, main floor bedrooms and full bath, central air conditioning, attached garage and lower level shop.